Get people excited about coming to work. Inclusion builds innovative, collaborative IT teams. When people feel like they belong, your company’s potential massively rises. At InspiHER Tech, we take IT recruitment for both men and women to a more meaningful level. Our inclusion-focused approach matches the right talent with the right culture. Plus, we offer initiatives for companies striving to be inclusive culture champions. Workplaces embracing diversity and inclusion achieve more. Experience: more than 25 years working with hundreds of companies. We understand people-focused, “everyone belongs” workplace cultures — and how they create measurable business success and innovation. Expert Certification: Diversity and inclusion certifications from Cornell University guides our programs. Our purpose: to transform companies through the identification of unconscious bias and create an environment where inclusive teams thrive. 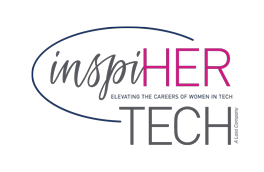 Lasting Impact: We lead with inclusion by placing women in technology. Imagine voices coming together for stronger, more effective, happier teams. In one conversation, find out how we can impact your recruitment approach. Q: Is inclusion the same as diversity?